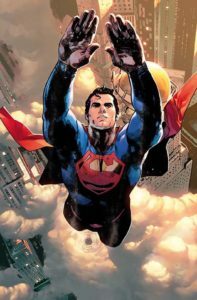 ACTION COMICS #966 | Preview Last issue! “BACK IN THE PLANET” part two! As the Daily Planet’s star returns to work, so does Lex Luthor. Meanwhile, Superman continues to investigate the devastation in the aftermath of the Doomsday attack. 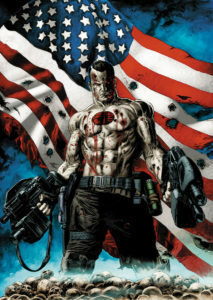 In the tradition of THE VALIANT, the Big Apple turns blood red in pivotal new standalone comics event from New York Times best-selling writer Jeff Lemire (BLOODSHOT REBORN, Extraordinary X-Men) and superstar artist Doug Braithwaite (ARMOR HUNTERS, Justice)! Sides have been drawn, battles have been fought, but it all comes down to this. 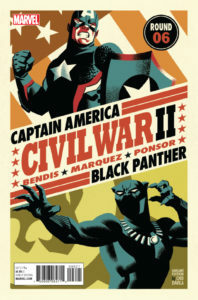 Captain Marvel versus Iron Man over the future of the Marvel Universe, one of the biggest battles in Marvel history! 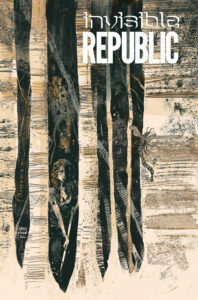 Croger Babb’s betrayals come back to haunt him as Maia Reveron must cross the war-torn jungles of Asan after a deadly altercation. Working closely with Moebius Production in France, Dark Horse puts the work of a master storyteller back in print-with some material in English for the first time! Stel and Atan are interstellar repairmen trying to find a lost space station and its crew. What they discover about the universe and themselves on the mythical paradise planet Edena, though, changes their lives forever. 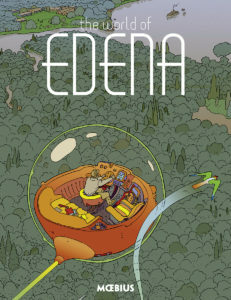 Moebius’s long-out-of-print World of Edena story arc gets a deluxe hardcover treatment, with its five main chapters-Upon a Star, Gardens of Edena, The Goddess, Stel, and Sra-collected here! Ever since hard-drinking local Woodhaven police officer Lou Garou had a late-night bender and stumbled onto dark magic, his life has been turned upside down. Now he moonlights as WolfCop, a rage-fueled, bourbon-swilling, magnum-toting, rabid warrior for justice! 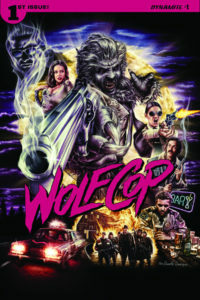 WOLFCOP #1 sees everyone’s favorite alcoholic lycanthropic lawman tearing out of the big screen and onto these gorgeous pages to fight bigger, badder, and meaner monsters than anything that has threatened Woodhaven before! IF YOU HAVE A COMICKY EVENT YOU’D LIKE TO HAVE LISTED HERE, DROP US A LINE! And for Local Comics Related Events don’t forget to check our Events section. This entry was posted in shiplist, This Week's Comics by Roho. Bookmark the permalink.